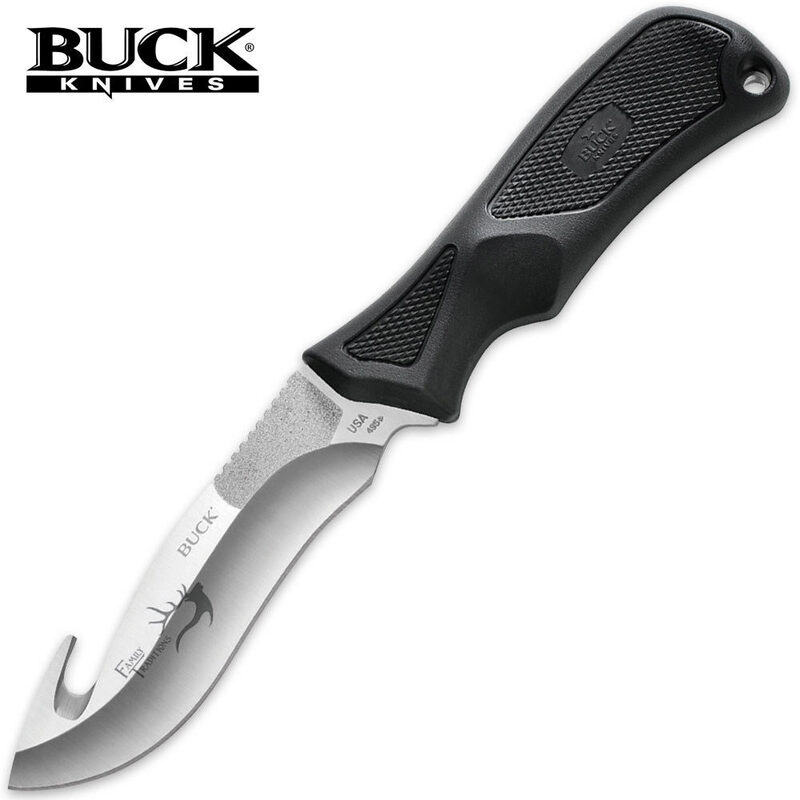 Buck ErgoHunter Fixed Blade Hunting Skinner Knife | BUDK.com - Knives & Swords At The Lowest Prices! Made in the U.S.A. by a name like Buck,you know that this ErgoHunter fixed-blade skinner knife has quality construction you can count on for superior hunting performance in the field. The high carbon steel gut hook skinner blade holds an edge for ages,and the Alcryn rubberized handle has an extra-large choil for a solid,slip-free grip as you work this powerful blade.